We stock a great range of screws & bolts for any requirement, from machine screws to hex bolts. Within our offer you can choose from grub screws, socket screws, wood screws and self tapping screws as well as coach bolts and U-bolts all from reliable manufacturers including RS Pro, so you can be assured you're getting top quality at a competitive price. Socket screws – used with Allen keys to fasten them, therefore are also known as Allen head screws. Machine screws – designed to be used with a tapped hole or interior nut thread. Available with all common head types including pan, flat, countersunk and truss. Self tapping screws – have a pointed tapered end that allows them to be drilled into any surface. Available in both Pozidriv and cross drive types. 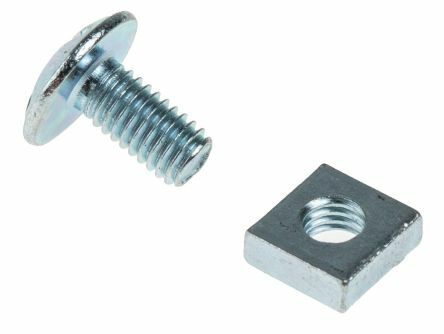 Hex bolts – have a hexagonal shaped head and can have a full or partially threaded length, used with a tapped hole or interior nut thread. 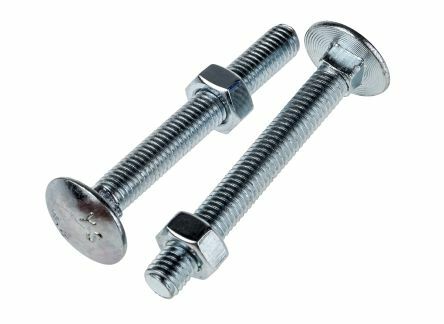 U-Bolts – commonly used with round surfaces such as pipes, theyre shaped like a letter U. Mushroom head, square neck carriage bolts, supplied with hexagon nuts. Bolt to DIN 603Nut to DIN 555. Use where positioning operations are requiredM10 x 1mm pitch thread, available in Zinc Plated Steel and Stainless Steel, M12 available in Zinc Plated SteelAvailable in two sizes either with or without a fixing slot. 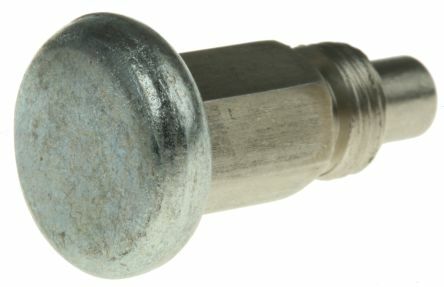 Cross-slot mushroom headed roofing bolts, supplied with appropriate square nuts. Bright zinc plated mild steel.